Earlier we shared an image of the Hulk toy from The Avengers. 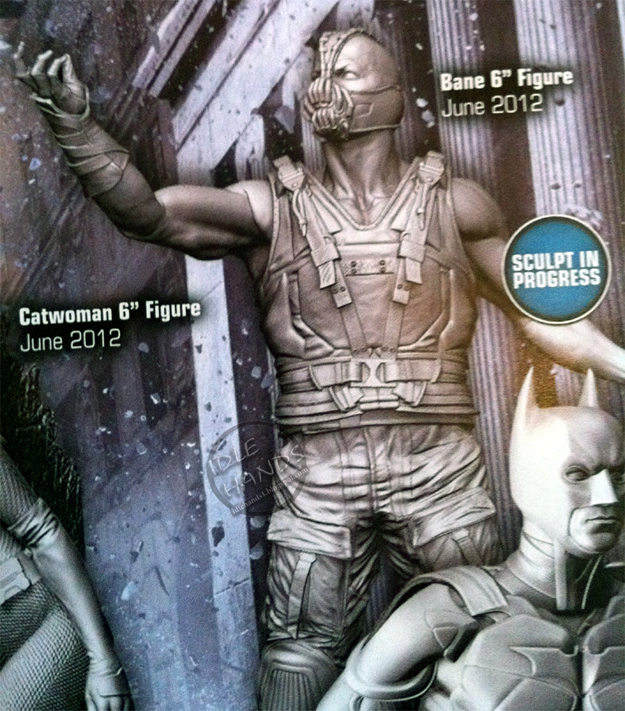 Now we have some images of DC Direct's upcoming toy line for The Dark Knight Rises, thanks to Idle Hands (via Comingsoon). The images come from the U.K. Toy Fair, and show off Batman, Bane and Catwoman. These are prototypes for 6-inch action figures, 12 inch statues and busts of Christian Bale's Batman, Tom Hardy's Bane, and Anne Hathaway's Catwoman. Check out the images below and share your thoughts. These look pretty damn cool if you ask me. I can't wait to see Bane and Batman on screen together. What are your thoughts? Which do you like the best?